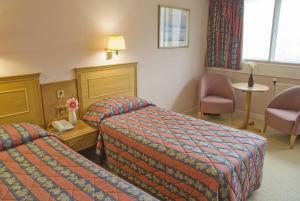 All rooms at the Britannia Hotel Coventry include a TV, dressing table and lounge chair. 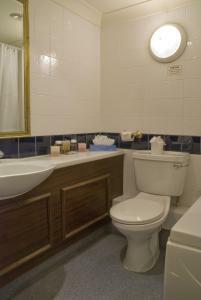 The en suite bathrooms have both a bath and shower. Bentley’s Restaurant opens out onto Cathedral Square and offers traditional British and international dishes, including a full English breakfast. 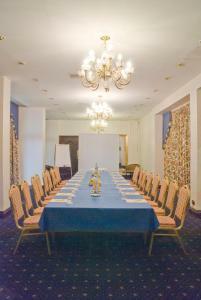 Daimlers Bar offers light meals and snacks. Coventry Railway Station and the Bus Station are 10 minutes’ walk away, as is the Coventry Transport Museum and the Belgrade Theatre. Birmingham NEC (National Exhibition Centre) and the Airport are 25 minutes’ drive away and the city centre is 35 minutes from the Britannia Coventry. Please note that ID must be produced on arrival at the hotel.